Hey there! 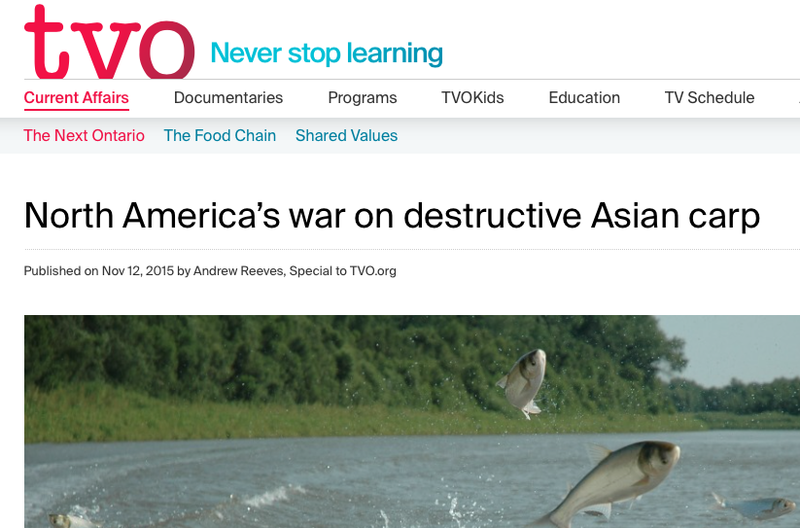 So I wrote another article for TVOntario about Asian carp — this time about Canada and America’s binational efforts to halt Asian carp in the Illinois River before they reach the Great Lakes. In response, one of the largest cooperative environmental endeavours ever undertaken in North America has begun. Not since control efforts began against sea lamprey in the 1950s have Canadian and U.S. resource officials, academics and politicians joined forces so fully on an environmental catastrophe. This united front is key to fighting a major risk to the Great Lakes ecosystem. Even more important, how the two countries fight Asian carp now will prove useful in determining how they manage other invasive threats in future.